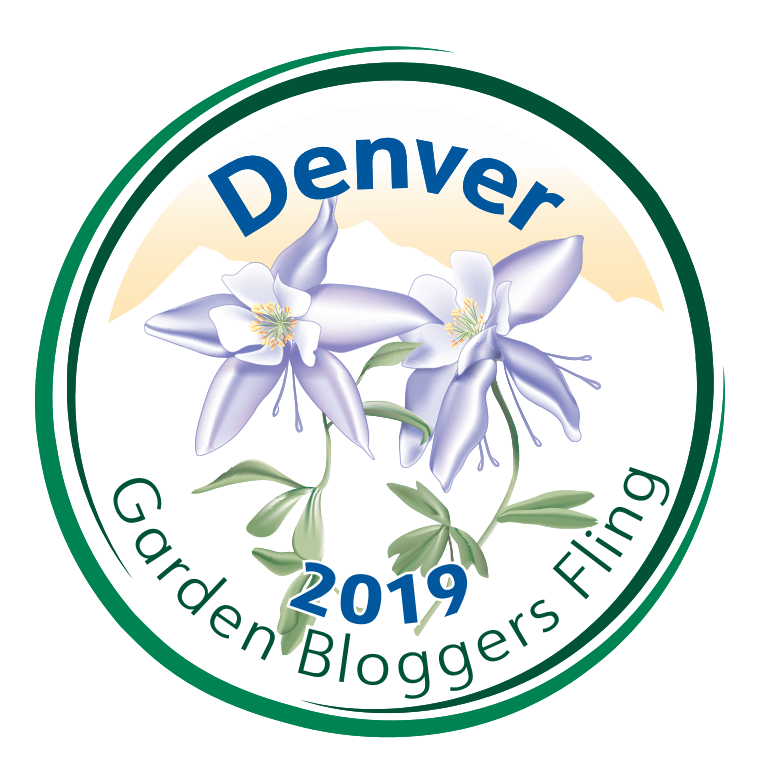 I am a few days late to the November Garden Bloggers Bloom Day. 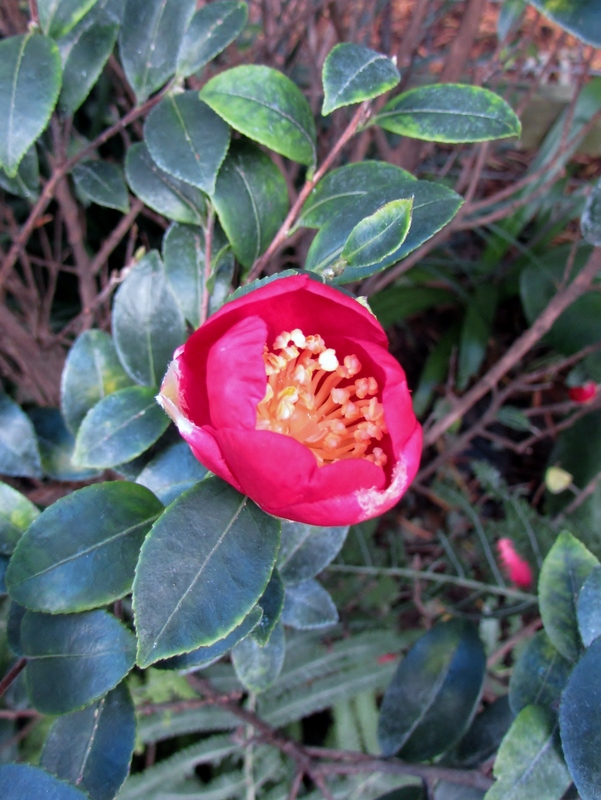 Seeing all the lovely blooms in everyone’s garden prompted me to share pictures of my sasanqua camellias. 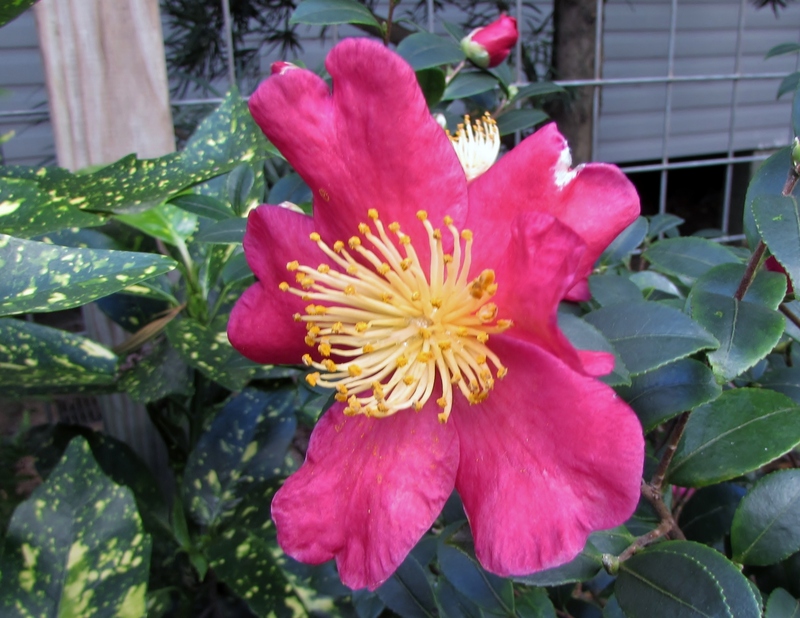 My favorite is the Yuletide, Camellia sasanqua ‘Yuletide’. 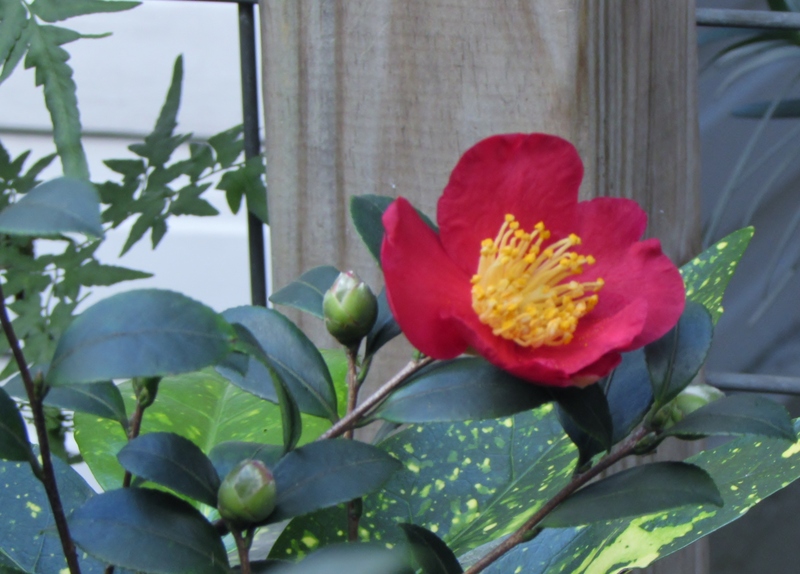 Sasanqua camellias are easy to identify because they have a smaller leaf than the Japonicas camellias that most people are familiar with. The Yuletide start blooming before Christmas in late November or early December here in Houston. They have a simple 5 petal flower in bright red with a sunny yellow stamens. 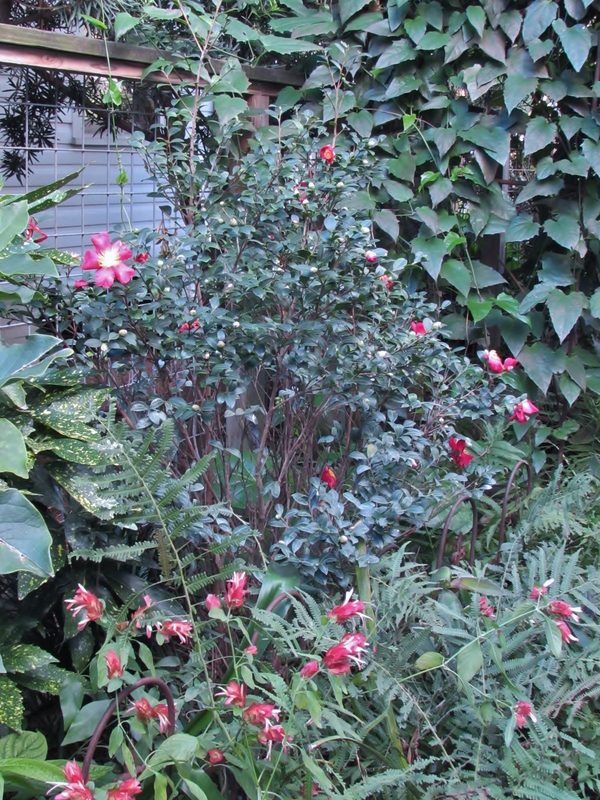 These flowers against the dark green leaves are stunning especially on a cold wintery day. I like to use them in designs where there is part shade as foundation shrub or occasionally as a flowering specimen plant. Planted in mass the foliage can create a handsome natural hedge. These camellias take trimming very well. They are ever green and prefer morning light or filtered light. Full grown they can reach 8 to 10 feet tall and nearly as wide. They are perfect in a woodland garden, a Japanese garden or a traditional southern garden. 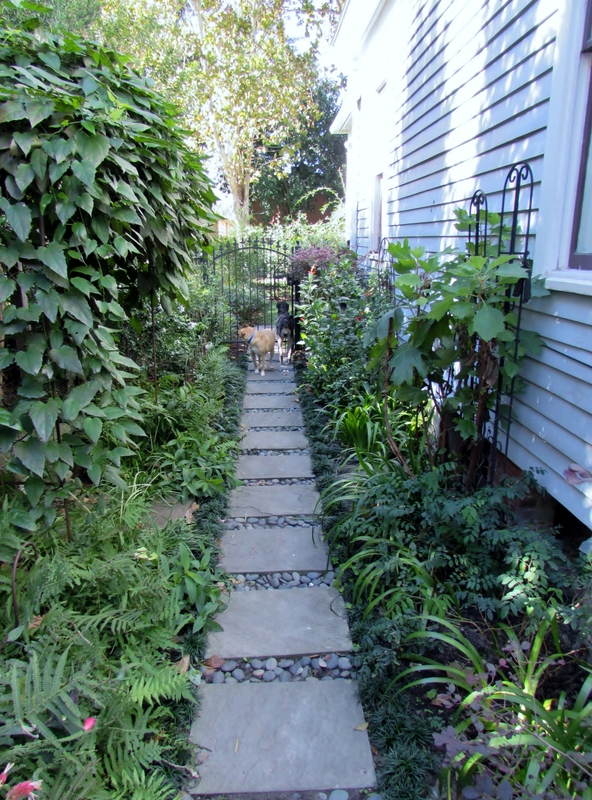 On the south side of our house is a blue stone path flanked by plants. The Yuletide actually started on the north side of the house but when I fell in love with a Waterfall Japanese Maple that I wanted just off the porch I moved the Yuletide. It is happy in its new location and I can enjoy it even while inside because it is outside the window near my computer desk. I am glad I moved it because it is doing much better in this bed with filtered light. 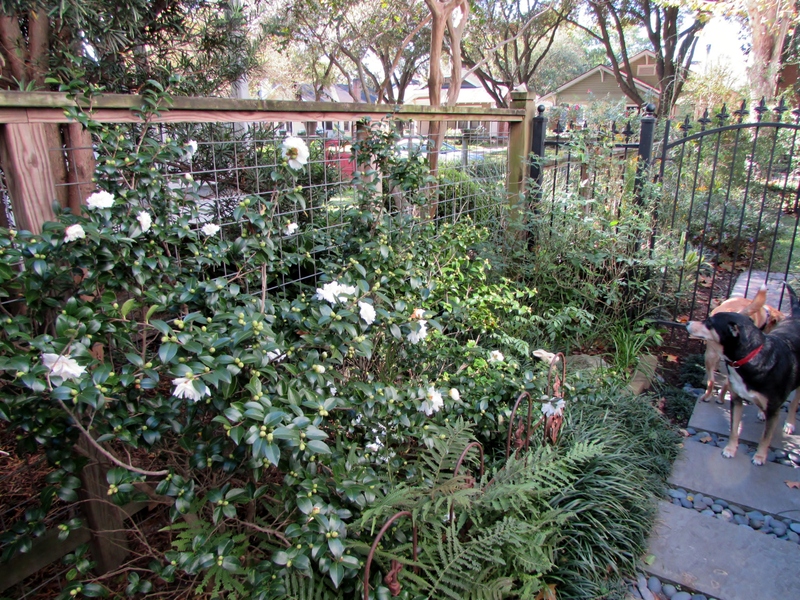 The neighbors have beautiful tall podocarpus trees and the camellia is in their shade. I think the soil drains better here too. Before I moved it it got a bad case of scale and lost a lot of leaves. 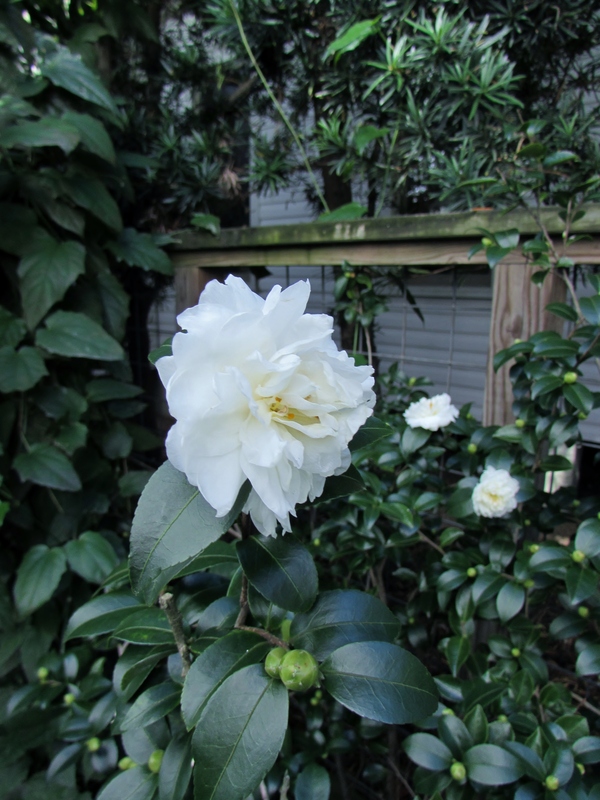 Here is a link to How to get rid of Bugs and Fungus on Camellias on the SFGATE website. 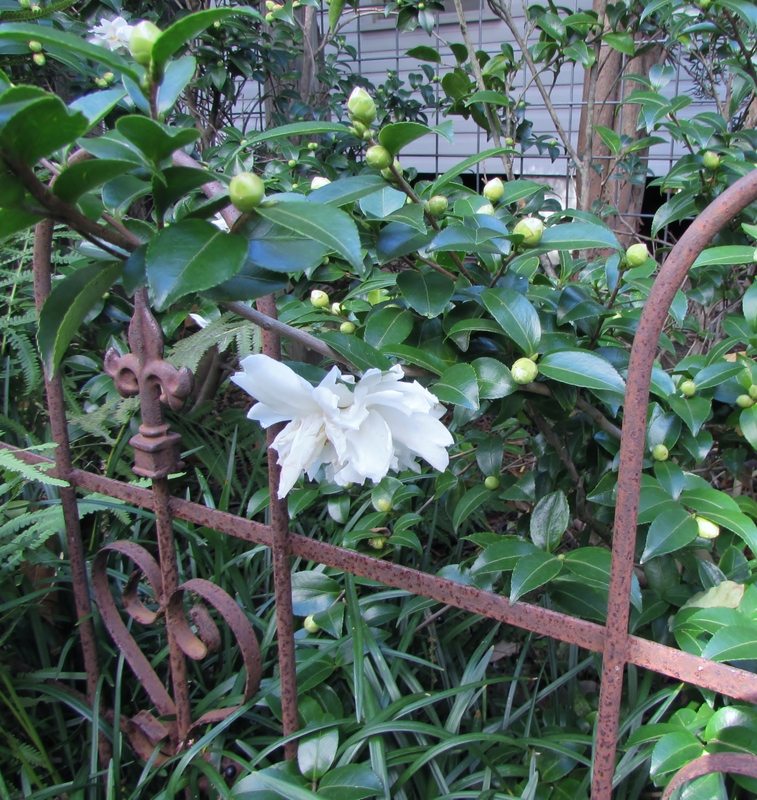 The camellias are surrounded by Acuba Gold dust to the left, the vine on the arbor is Blue Sky Thumbergia. 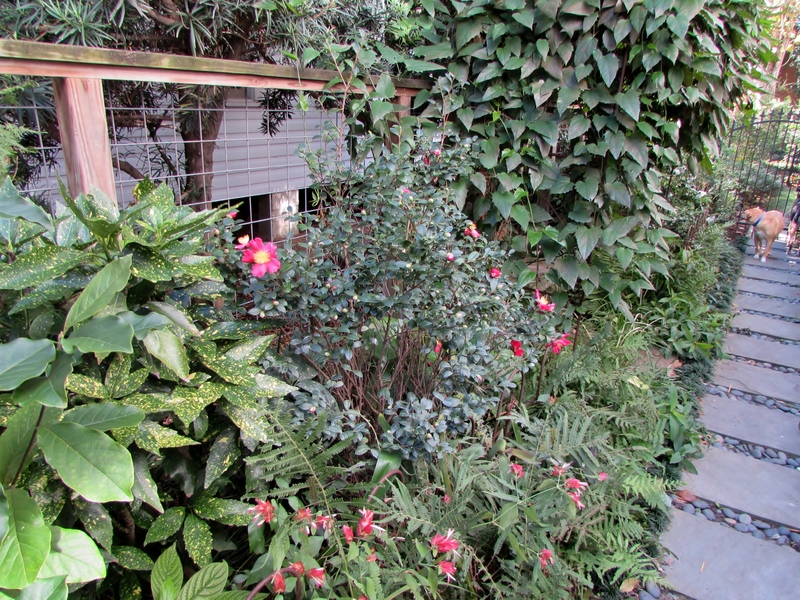 In the foreground are Wood fern and Shrimp plants neither of which I planted there. This type of camellias can be trimmed into a tree form which works in a more formal setting or when used as a focal plant. They are wonderful with their colorful blooms in a garden where other plants are resting in the late fall and winter. Sasanquas are classified according to when they bloom and that actually depends on where you live and what zone you are in. 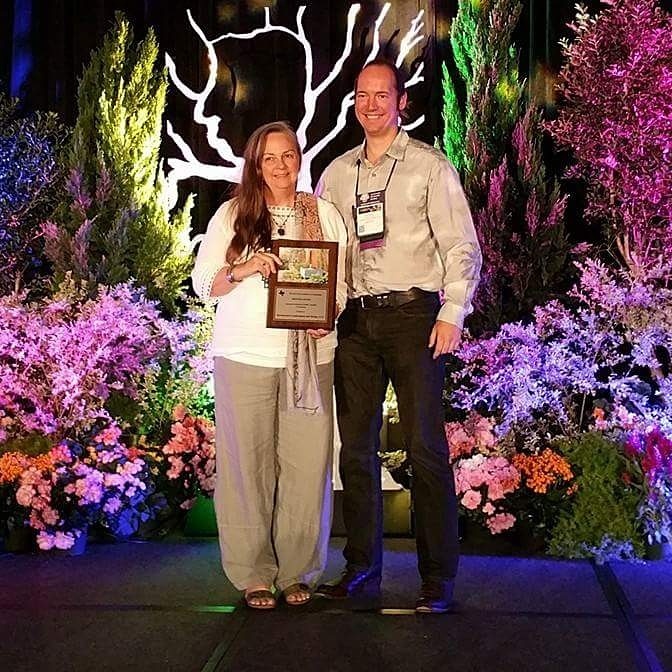 They are originally from woodland areas in Asia and thrive in places with mild-temperate climates of U.S. Department of Agriculture plant hardiness zones 7 to 10. They are not as cold hardy as the Japonicas. The Pennsylvania blue-stone path and the gate to the front garden. That is Dylan and Raven helping Shawn take some of these photos. 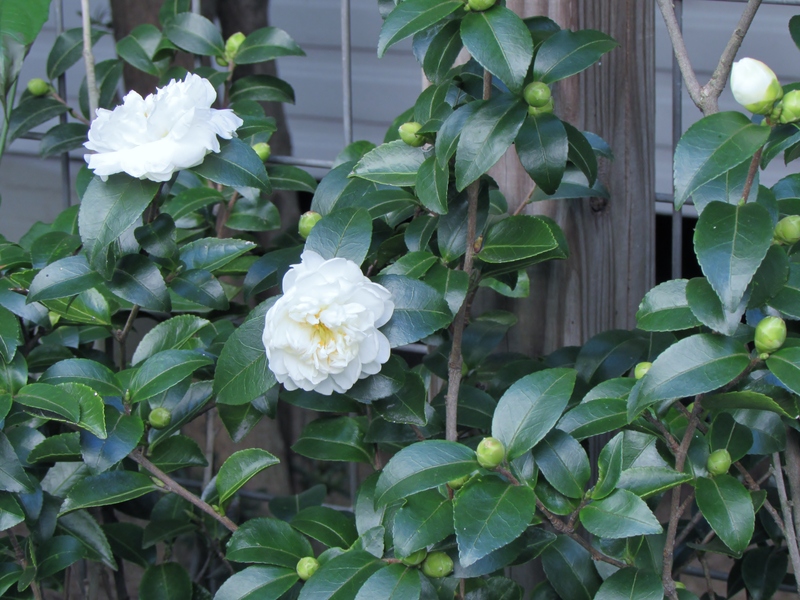 Further down the path I have two White Doves Camellia, Camellia sasanqua ‘White Doves’ (‘Mine-No-Yuki’). They are left over from a job we did and remained homeless for so long I finally moved some plants to make room for them on the other side of the arbor. And this is the first time I have seen them bloom. They are right off our office and can also be seen from inside too. I am so happy I kept them! The contrast of the glossy dark green foliage and the brilliant white blooms is stunning. These have a semi-double bloom that reminds me of ruffles. The White Doves are more compact and have a more spreading form than the Yuletides. They are slow growing to about 4 to 5 feet tall and wide. 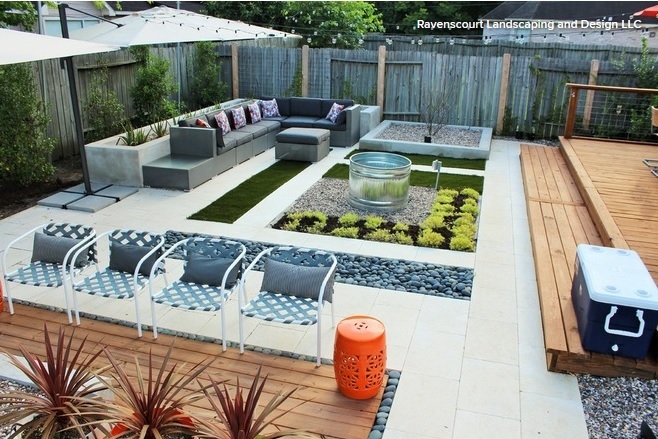 This make them ideal for smaller gardens. 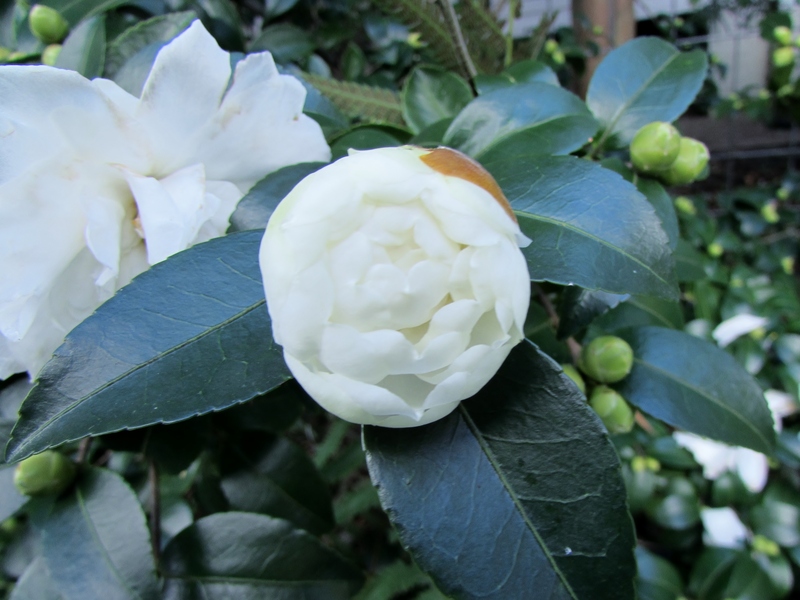 Sasanqua camellias have been cultivated in Japan since the 14th century and grown in American gardens of the South for nearly 200 years. 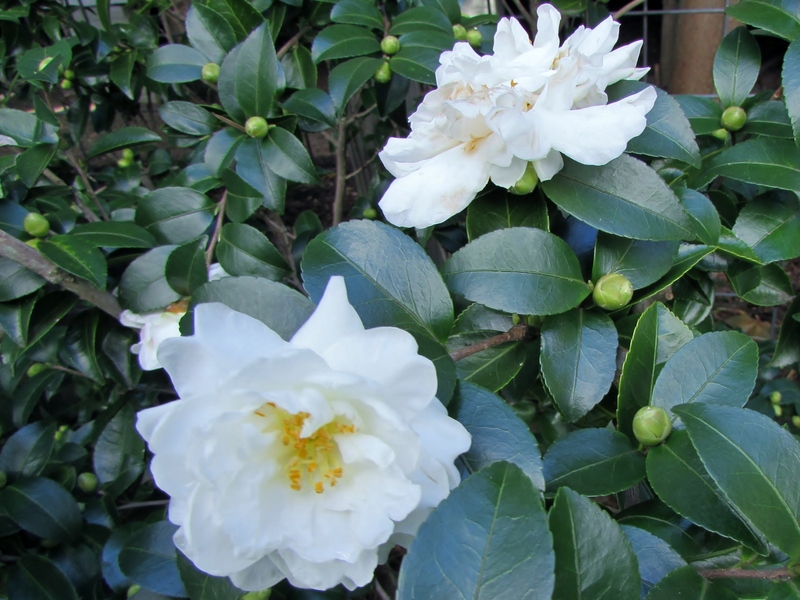 The sasanquas are more compact than their sister camellias the Japonicas that want to be small trees. The have smaller blooms and some gardeners over look them in favor of the Japonicas with their big full flowers. I have found that the sasanqua camellias do better than Japonicas with our summer heat and are more prolific bloomers. To the left is a bud just opening and you can see many little green buds behind it that will continue on blooming through Christmas. The sasanqua’s leaves are small and beautifully simple. The leaves of many varieties emerge coppery-bronze and mature to glossy, deep green. 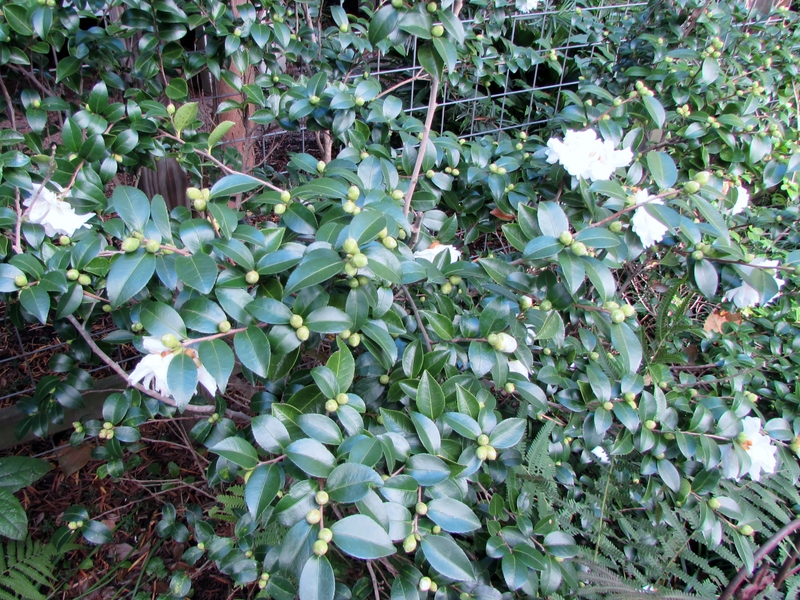 Sasanqua leaves are about half the size of a Japonica camellia’s and much less coarse. You can see it is reaching out as well as growing up. Depending on the selection and where you live, sasanquas can bloom any time from late summer through autumn and into winter. The ‘Yuletide,’ are supposed to blooms around Christmas time but ours are early this year. The sasanquas come in a variety of flowers styles; single, semi-double, or double, but usually with a central burst of bright yellow stamens. 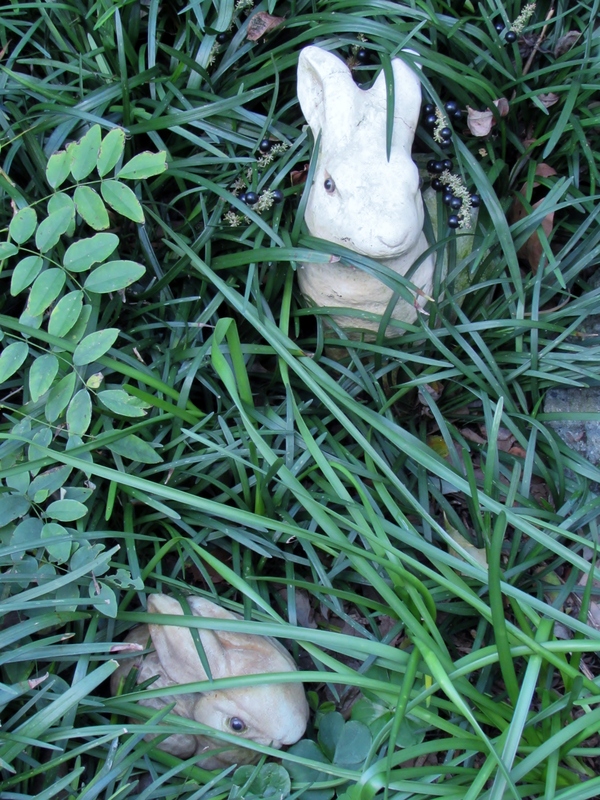 Hiding in the shadow of the White Dove camellias are our two little bunnies. You can see the berries on the Big Blue liriope too. 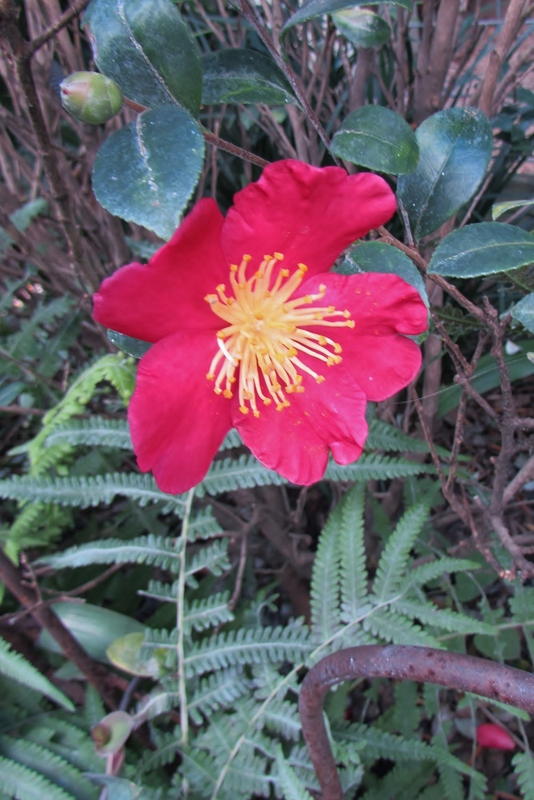 I love the cheery red Camellia sasanqua ‘Yuletide’ . I like white ones too, but white flowered ones always get burnt by frost here. They are cheery aren’t they! The plants here suffer through summer and then revive in the autumn. If we don’t have a hard freeze till mid winter these will finish their bloom cycle. I know next to nothing about camellias since they aren’t hardy here, so I wasn’t aware of this type of camellia. How nice to have them blooming at this time of year! I especially love the White Doves–the double white blossoms look so striking against the dark green foliage. I wish I could grow these! Beautiful, these don’t grow here. That is too bad! They are so lovely in the winter.